Realtor In Whatcom County: Real Estate Or Stock: Which Is The Better Investment? Real Estate Or Stock: Which Is The Better Investment? You’re at a crossroads—you have money you want to invest, but where will you see the greatest return on investment? There are many ways you can invest your money, but most people follow one of two avenues: real estate or the stock market. While there are advantages to both types of investments, the benefits of investing in real estate outnumber the benefits of investing in the stock market. 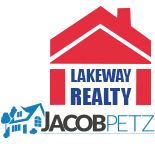 Ultimately, where you decide to invest your money is completely up to you, but here are a few reasons you may want to consider having Jacob Petz Realty help you invest in your first (or second, or third) property! You have worked hard to make the money you are now thinking about investing. When you invest in stock, you are paying to own a piece of a company; more accurately, you are “buying” the people who run the company and hoping they are going to make your investment a profitable one. After you have invested in your stock of choice, you have essentially no control over what happens to your money—whether your stock goes up or down depends on variables that are out of your hands. Yikes! In this sense, many people feel unsettled and worried when they have no tangible evidence of their investment. Sure, you will have numbers and charts on a screen that show you what is happening with your stock on a given day, but what do those numbers mean? Where is your money? When you invest in real estate, you are buying a physical property. You have access to your property and you can manage it in the way that is most beneficial to you and your investment. You can increase your property’s value through repairs and enhancements, and adding value to your property means more money for you if you ever decide to sell—this is also a great way to create equity in your property! You will have hands-on access to your investment, unlike stock. Many investors like having this kind of direct control over their money. Purchasing a property with a positive cash flow is going to be paramount when you decide to invest in real estate. When you turn your new property into a rental, a monthly cash flow will occur when you subtract your monthly debt (mortgage payment) from the monthly rent. For example, if your mortgage payment is $1,500 each month, you can easily charge tenants $2,000+ for monthly rent and see $500 in your pocket at the beginning of every month. When we say “immediate,” we mean it! When it comes to stock, the return is much, much smaller, and usually is not even realized until the stock is sold. You may see a five percent return, at the most—a number that most real estate investors would scoff at because they are used to seeing a minimum 15 to 20 percent return on their investments. The stock market is known for its fluctuations, which inevitably stirs up emotional reactions from people who have invested in stock. Even when they have financial advisors at their disposal, investors are typically undisciplined, fickle and too emotional. And sometimes, the financial advisors, themselves, make improper recommendations that can result in great loss for their clients. In 2007, many qualified financial advisors told investors to sell their stock after the market had dropped 50 percent, when in reality, the advisors should have been telling the investors to buy stock. Stock prices fluctuate so frequently, and too many people “jump ship” when the price of their stock goes down. Experienced investors aren’t phased by these types of fluctuations, but newer investors get panicked and immediately want to sell when they should be buying, and vice versa. In a nutshell, your investment is constantly being influenced by other people’s good/bad decisions. You are not in control. As we discussed previously, you are in total control of your investment when you purchase a property. Yes, the real estate market can fluctuate, but many times, the up’s and down’s can be predicted, meaning you will be able to plan ahead when a change is on the horizon. Real estate is hands-on, and you will know exactly what is happening to your investment at all times. When you call the professional realtors at Jacob Petz Realty in Whatcom County, we help thousands of families and individuals find their perfect property—so whether you are a first-time homebuyer learning about the real estate market or you are a property investor looking for your next great buy, we are here to help you throughout the entire process. 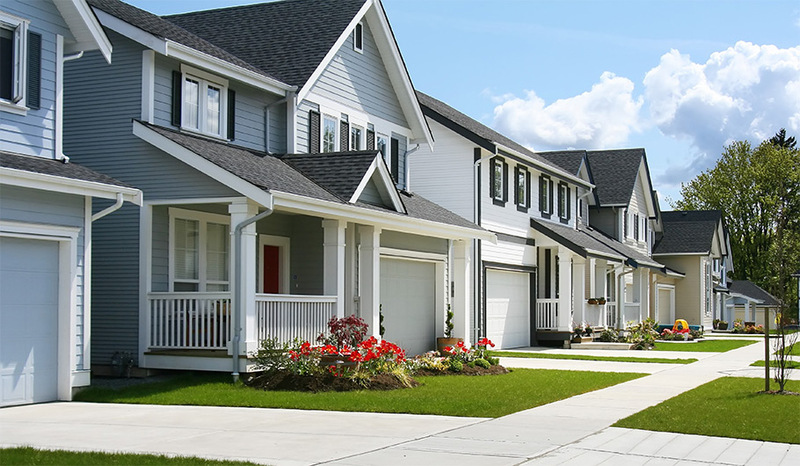 When you are ready to invest in real estate, we will help you value the property that you are looking to purchase. We have access to information that will help you accurately price your investment. When it comes to stock, valuing a multi-billion dollar company is almost impossible, especially if you do not have the access to helpful resources. Really, it is only the owners and managers of a given company that know what is happening, financially, within their business. There are too many unknowns and “what ifs” for someone to truly feel comfortable investing in the stock market. When it comes to purchasing stock, there is the option to buy on margin. This means if, for example, you want to purchase $50,000 in stock, you will need $25,000 in cash to buy it. The risks are huge, in this case, because trading companies can ask you to pay the margin due if the stock loses value. They also have the ability to sell your stock if the price drops too low. Not only does this mean you will have to invest a sizable chunk of money right off the bat, it also means you have little control over your investment—noticing a trend here? And if the trading company calls your margin due, you would have to come up with another $25,000 at the drop of a hat. Like we said, the risks are absolutely enormous. In real estate, you can begin investing for little to no money down. There are numerous financing and loan options for homebuyers, and you could easily purchase a $150,000 home for $0 out of pocket. Once you have established the mortgage that is right for you, there are no surprises—you have control over your money, you investment and your loan. In short, investing in real estate places you in a position of power. You own a physical property and have control over your money and how it is spent. The stock market, on the other hand, is a total crapshoot. Unless you are extremely well-versed in every aspect of buying and selling stock, you are putting your money in the hands of strangers and hoping they make the right decisions to make your investment profitable. You are the only one who should be in control of your money, so find a property you love and call the experienced professionals at Jacob Petz Realty. We’re standing by.